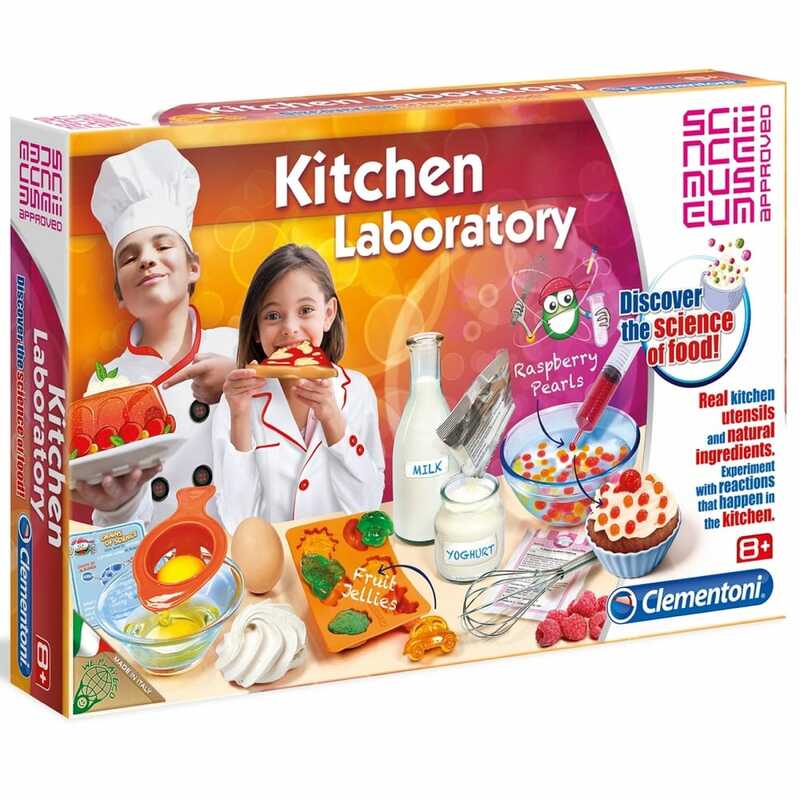 Find out all about the science of food, this set will transform the kitchen into a wonderful laboratory for culinary experiments. The set is approved by the science museum contains real kitchen utensils and natural ingredients. Contents: test tubes with stoppers, test tube rack, syringe, pipette, measuring beaker, muffin tins, whisk, egg separator, colander, pastry cutters, rubber moulds and illustrated instruction manual. Contains ingredients: freeze dried starter cultures, sodium alginate and calcium lactate. Made payment through amazon account witch made the whole payment process easy. Sent update on delivery so I was well informed. Product was well packaged. I will have a happy son Christmas morning as this was the only shop that stocked item. Would definitely use Crafty Arts in the future.